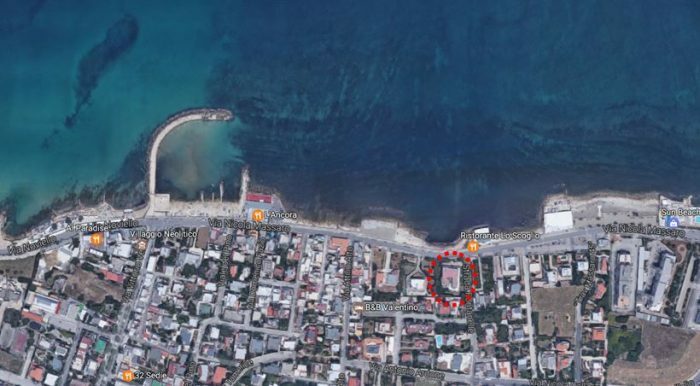 The estate, a former youth hostel, is located on Bari’s seafront, in the locality of Palese. 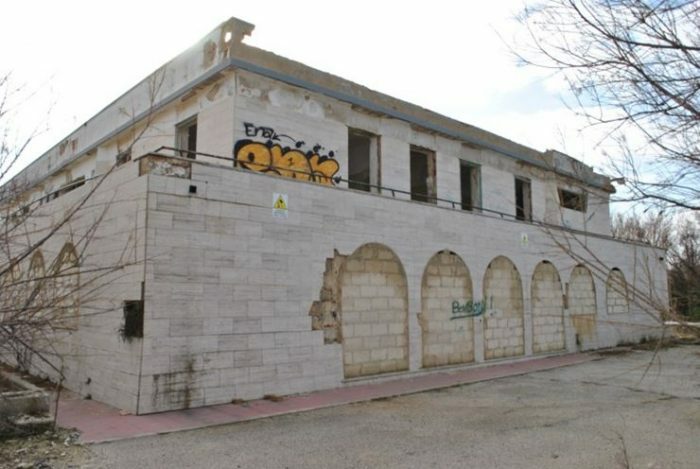 Because of its location, it could be redeveloped into tourist accommodation or into private residences. The building has a rectangular layout and two floors above ground, the first floor is of smaller dimensions, with a vast terrace that extends for the most of the perimeter, starting from the main façade, continuing on the east side of the building and ending at the back. 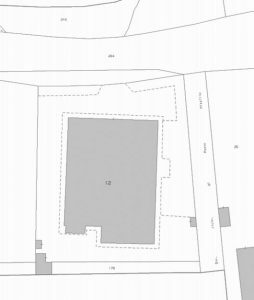 Currently lacking any finishes or wiring etc., it consists of an independent framework with the beams and pillars in reinforced cement and is surrounded by a vast external area, partially covered by trees and fenced in, with pedestrian gates and driveways. 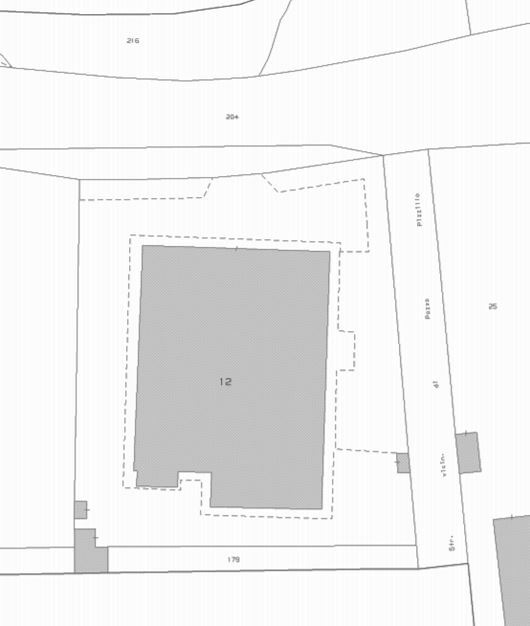 The current urban redevelopment plan allows the building to be used as tourist accommodation. 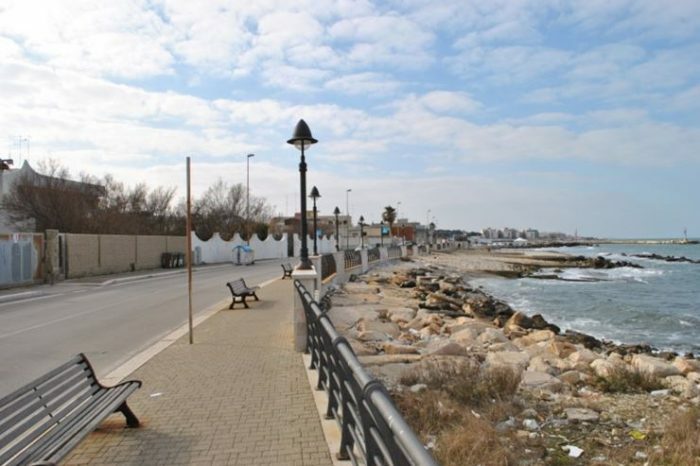 The estate is located in a suburban area of the municipality of Bari (pop. 327,361), the main city in the Province with the same name (pop. 1.266,379) and of the Puglia Region (pop. 4.090,105), near the Bari-Palese coast, 12 km from the historic centre of the city and its monuments, such as San Nicola’s Basilica, San Sabino’s Cathedral, the Normanno-Svevo Castle, the Petruzzelli Theatre, Sant’Antonio Abate’s little Fort and the wall built in the 12th century. 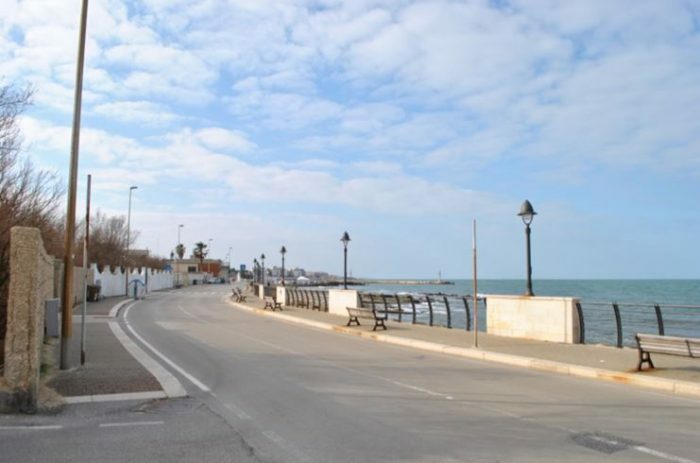 The property can be reached by the Lungomare Massaro Tenente Nicola, a few metres from the sea, near the SS-16 (Adriatica), one of the most important arteries in Italy that goes from Puglia to Veneto (1000 km), following the Adriatic coastline. There are numerous beach resorts, restaurants, residential buildings and independent villas. The “Bari Centrale” railway station connects Bari with the main cities of Italy and is 12,5 km from the estate, while Bari’s international airport “Karol Wojtiyla” (with 4,3 million passengers in 2016) is 4 km away (10 minutes). The “Bari Palese” railway station with different regional lines is 1,3 km from the property. 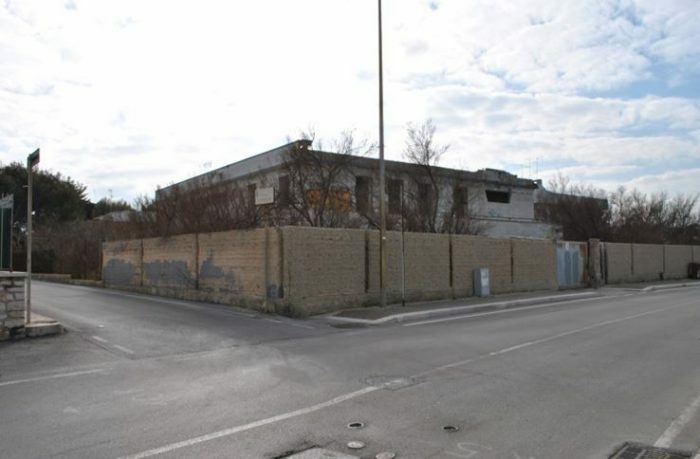 The “Bari Nord” toll-booth on the A-14 Motorway (Adriatica) is 15 km from the area.